We bring forth our vast industrial experience and expertise in this domain providing high quality range of Bamboo Coffee Mug. 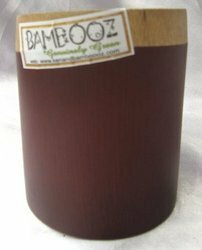 This Bamboo Coffee Mug is made by using quality material which we buy from our trusted and reliable vendors. Our product range is known for its attractive look and eye catching design. Can be made into various shapes and sizes. This piece of art is a 100% handcrafted product made of natural bamboo. The Organizer Box can be used as a Wall Hanging / an office desk top decor item. Bamboo Handicraft Items that we offer look very appealing and unique for decorating interiors at homes and offices. 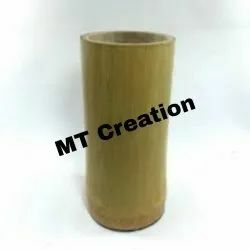 We provide a wide array of beautifully crafted Bamboo Handicraft Items such as Bamboo Candle Stand, Bamboo decorative Wall Hangings, Bamboo Hat, Bamboo Pen Stand, Bamboo Tray, etc. We are capable of taking up bulk orders of Bamboo Handicraft Items. With years of experience of this industry, we are offering a wide assortment of Bamboo Utility Box. This product is available in varied sizes and designs for our patrons. Note :- Deals Only in International Buyer. Description: Natural brown bamboo folder which can be closed from all 4 sides. - Minimum order should be Rupees 10, 000. - Starting price Rs 50/ to Rs 500/pieces.